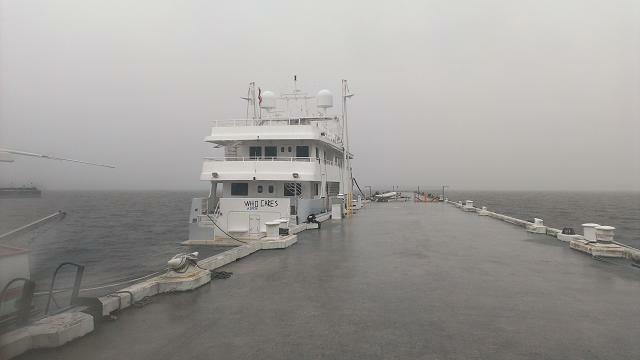 We will be evacuating this evening, and leaving the boat. We will be at 2300 Kingsley, Orange Park, Florida, and probably staying there until Saturday morning. The storm is supposed to start hitting us around 8am tomorrow (Friday) and peak at about 9pm, fading off by about 2am Saturday. With high tide at 6:22pm and maximum storm surge also coming around that time, we could have a lot of water in this river. We are in one of the safest marinas in Florida here at Reynolds Park Yacht Center. 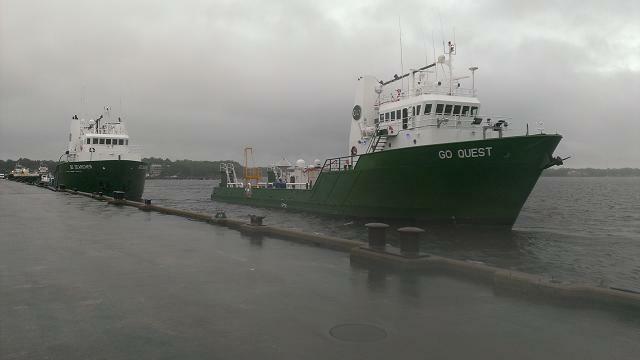 So safe that numerous large vessels have come here to sit out the storm. With bridges in Jacksonville now down and closed until further notice (so until the storm has passed), the last two large vessels have now arrived. The last two to get through are the Go Quest and the Go Searcher. Nearly everyone in the marina has been busy preparing their boats for the full impact of Hurricane Matthew by removing all sails and canvas enclosures, doubling up dock lines, and in the case of some, moving from the floating docks to the main pier. Several boats are actually leaving and heading across the river to anchor out. If you are anchored out securely then you will be tossed around by the waves but you won't be banging into the docks. 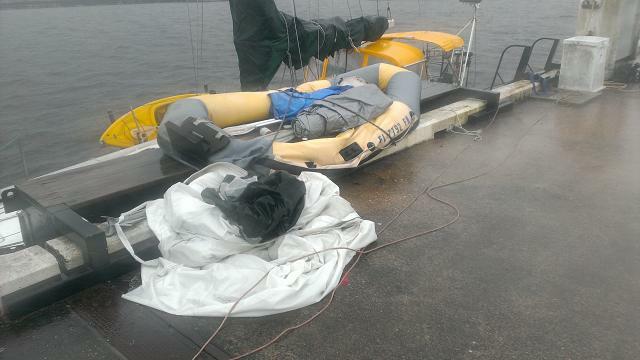 The boat that lost their sail in the last storm, still isn't prepared for this one! Like usual though, there are a couple of people who have not been doing any preparations. This is very aggravating for everyone. Not that anyone cares what happens to those boats, but because those boats can be dangerous to the rest of us. 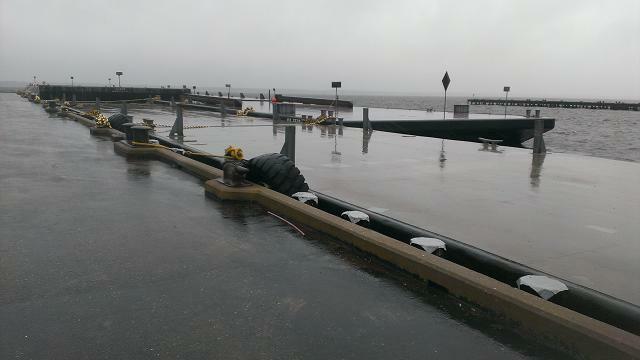 There has also been some concern that the floating docks will break loose from the main pier. For the past several days we've had a cold front sitting in the region and constant rain. As a result, the water level here is already up more than a half meter from the normal levels. The water is now 1.6 meters below the top of the pier, the highest we've seen it ever here. The big problem with this is that this is before the storm surge arrives with the storm on Friday. If the water raises another 2 meters then the finger docks will all float off the top of their pilings. We are tied both to the floating docks and the main pier, so should the floating docks break loose we can cut our port side lines and still stay attached to the pier on our starboard side.